Curious about what our relationship is with the Innocence Project in New York City? Confused about the difference between an exoneree and a freed client? Wondering what donations to IPNW help us accomplish? Take a look below - we might just have an answer to your question. If we don't have the answer you're looking for send us an email at ipnw@uw.edu or post a comment on our Facebook Page. 2. How did IPNW get started? 3. What is IPNW's relationship with the Innocence Project in NYC? 4. What is IPNW's relationship with the University of Washington School of Law? 5. How is IPNW funded? 6. If I were to donate funds, how is my money used? 7. How can I help free the innocent? 9. How do I request assistance from IPNW? 10. Do you speak for clubs, organizations or events? 11. Are there organizations doing similar work in other states and countries? 1. How do people request assistance? 2. Can I submit an application on behalf of someone else? 3. Can you send someone in prison an application for me? 4. I mailed you an application months ago. Why haven't I heard anything? 5. Can I talk to someone at IPNW about my application or the application of a loved one? 6. How does IPNW decide which cases to take? 7. I meet all of your criteria. Why did my application get rejected? 8. How long does it take to exonerate someone? 9. What is the difference between an exoneree and a freed client? 10. I don't live in Washington. Who do I contact for information about innocence help in my state? 11. Does IPNW only take cases with DNA evidence? 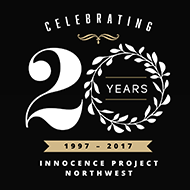 Innocence Project Northwest is an independent organization that provides free legal services to men and women in Washington State who have been wrongfully convicted, helps prevent wrongful convictions through education and policy reform, and supports exonerees as they rebuild their lives in freedom. We operate two clinics in the UW School of Law to provide students with experiential learning opportunities. 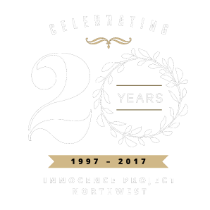 In 1997, Jackie McMurtrie founded Innocence Project Northwest at UW School of Law as a volunteer project – it is the third "Innocence Project" in the country. Jackie was inspired by the Frontline documentary “What Jennifer Saw,” which tells the story of a North Carolina man who spent 10 years in prison before he was exonerated of two rapes committed in the 80s. In the beginning, IPNW was made up of a handful of volunteers investigating cases after receiving letters from inmates who were pleading for help. The organization’s first freed clients and exonerees were 11 men and women who were wrongfully convicted in connection with the infamous Wenatchee child abuse prosecutions. Jackie began teaching the Innocence Project Northwest Clinic in 2002, and Policy Director Lara Zarowsky began teaching the Legislative Advocacy Clinic in 2011. We now receive over 500 requests for legal assistance every year and continue to advocate with our pro bono partners on behalf of Washington's wrongly convicted. While we support and encourage each other, you may be surprised to learn that innocence organizations (including the Innocence Project in NYC) are completely financially independent organizations. We all provide free legal services to the wrongfully convicted and work to improve justice systems. IPNW isn't financially supported by the Innocence Project in NYC or any other innocence organization. We are the only innocence organization that serves Washington State - and the third innocence organization to be established. To see a map of other innocence organizations, go to the Innocence Network web page at http://innocencenetwork.org/members/. IPNW was founded by University of Washington School of Law professor Jackie McMurtrie in 1997. 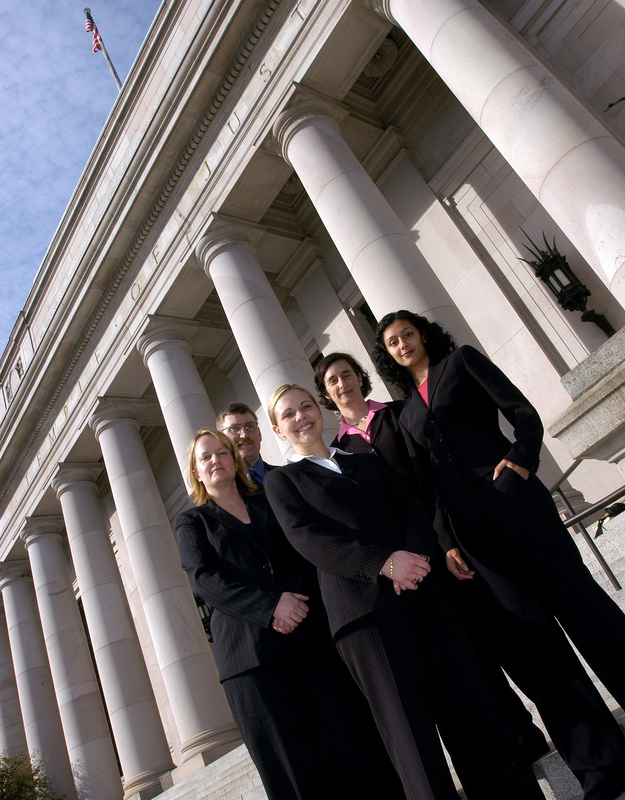 Today, IPNW is based at UW Law and continues to provide clinical learning opportunities to UW Law School students. Jackie teaches the IPNW Clinic which provides students with the opportunity to investigate cases, interact with clients and witnesses, and draft and argue legal motions. Lara Zarowsky directs the Legislative Advocacy Clinic, which provides students with the opportunity to advocate in the Washington State Legislature to develop and move legislation designed to prevent additional wrongful convictions in our state. IPNW is primarily funded by private support from foundations, corporations, and individuals as well as by government grants. IPNW receives limited support from the UW School of Law in connection with our clinical offerings to students. We do not receive funding from the Innocence Project in New York City or any other innocence organization. The path to exoneration is long and costly - and gifts of every size help. Donations help us cover costs required to request documents for investigation, visit clients in prison, obtain DNA testing, consult forensic experts and more. The results from one DNA test, which costs ~$1,000, can be life changing for an innocent prisoner. There are many ways that you can be a part of our work. Visit our How To Help section for the most up-to-date information about volunteer opportunities, events, and more. IPNW provides free legal services to innocent prisoners in Washington State. Vist our Request Assistance page to learn more and request an application. We love telling our story and the stories of our freed clients and exonerees. Email us at ipnw@uw.edu with inquiries. Yes! There are innocence organizations dedicated to freeing innocent prisoners around the world. To learn more, check out the Innocence Network website. IPNW receives over 500 requests for assistance every year. Some times prisoners in the State of Washington, or their loved ones, contact us directly to request an application, which we mail directly to the prisoner. We also do our best to make our applications available in prison libraries and in the Washington criminal defense community. Contact us to request an application for a loved one in prison - we'll send it to them directly. Yes, but we always prefer receiving applications in the prisoner’s own words. If it is easier for them to have assistance filling out an application, you can help. But the prisoner must sign the releases at the end of the application for us to begin our review. If you have a loved one in a Washington State prison who has a claim of innocence, you can mail them an application through our site. Simply complete the application request form and we will mail it directly to them. Of course! Complete the Application Request Form on our website and we'll be happy to send a copy to them directly. You should receive a letter acknowledging receipt within 90 days. After that, the time and format of our response varies from case to case. Rest assured that we are evaluating your case to assess the best strategy for moving forward. Unfortunately, no. IPNW has a small staff and does not have the resources to permit individual consults. If we have questions about an application, we will contact the prisoner directly. Unfortunately, due to limited resources and strict legal constraints, we cannot pursue every case that meets the criteria listed on our website. IPNW's decision to accept or reject an application is not a judgment on the guilt or innocence of an applicant or a comment on the fairness of the legal proceeding. The exoneration process is slow and costly. It takes years to exonerate or free someone after we review an application. Each case we investigate comes with unique challenges that require dedication and patience. Our students, staff and attorneys spend several months (and even years) locating and requesting physical evidence to test for DNA, seeking out and interviewing new witnesses, requesting old case files and transcripts from former attorneys and much more. You may notice that throughout our website we talk about exonerees and freed clients. According to the National Registry of Exonerations, an exoneree is "a person who was convicted of a crime and later officially declared innocent of that crime, or relieved of all legal consequences of the conviction because evidence of innocence that was not presented at trial required reconsideration of the case." Sometimes the justice system presents innocent clients with other options to leave prison without officially being declared innocent. For example, if a prisoner accepts an Alford plea they can be released from prison and maintain their innocence by admitting that the evidence the prosecution has would be likely to persuade a judge or jury to find the prisoner guilty. Often times freed clients accept these kinds of pleas so they can begin rebuilding their lives in freedom as they continue the legal fight to prove their actual innocence. No matter what, two of the things that all of our exonerees and freed clients have in common are innocence and freedom. IPNW is only able to provide legal assistance to innocent prisoners in Washington State. There are innocence organizations who help free the innocent around the world. The Innocence Network is a great resource to locate an organization in your state. Some innocence organizations such as the Innocence Project in NYC focus exclusively on cases with DNA evidence. Innocence Project Northwest reviews, investigates and litigates cases in Washington State with any newly discovered evidence, whether or not that evidence allows for DNA testing.